Today we’ll have a look at OCZ’s Vertex 2 SSD. As the ‘2’ in the name implies it is of course a follow-up to the original Vertex, which was developed to tackle Intel’s then-new (but still very popular) X25-M drives. This time around, OCZ has teamed up with SandForce–a relatively new name in SSD technology that has quickly gained momentum thanks to highly efficient controllers. SandForce controllers are known to reduce the amount of unnecessary writes and maintain drive performance over time–even without support for the TRIM command (which the Vertex 2 offers anyway). From just looking at the specifications, the drive looks very attractive, with impressive sequential read/write speeds at 285 MB/s and 275 MB/s respectively. In addition, OCZ promises up to 50,000 IOPS writes, which is an exceptional number. The drive is indeed fast, so fast that it’s restricted by the limits of the SATA 2 interface, a problem that the ultra-fast RealSSD C300 from Crucial gets around by employing the 6Gbps SATA 3 standard. A small bonus that should be noted is that OCZ also includes a 3.5″-2.5″ converter bay, which you’d otherwise have to purchase separately for mounting it in a standard ATX case. This is not an expensive part, but it still saves you some time and money. But let’s have a look at how the drive performs in the real world. On the whole, the drive delivers excellent performance–right up there with the top SSDs right now, with exceptional speeds of 250-270 MB/s in both read and write. These numbers look excellent–especially the fast writes are eye-catching, which would put the drive ahead of most of the competition including other SandForce-based drives, not to mention the original Vertex lineup. On the other hand they are purely theoretical figures until you apply them to actual usage scenarios. PCMark Vantage, although a synthetic benchmark, includes a range of HDD tests that simulate various everyday tasks, making it highly relevant as an overall, real-world performance test. It should be surprising, but the Intel drive has had time to mature, and it still churns out good enough numbers to compete with the latest MLC drives on the market. The Vertex 2 isn’t far behind though, and although we haven’t had the time to do a long-term test of the drive, it is not unlikely that the numbers even out over time. SandForce drives have proven to be extremely resilient to performance degradation, even without the TRIM feature. And this drive does work with TRIM under Windows 7. Another useful benchmark is the SSD-specific AS SSD. Here it is obvious that Crucial’s RealSSD (in this case a larger variant) is well ahead thanks to its SATA3 support, but without it the difference would no doubt be less noticeable. The observant reader will notice that the Vertex 2 surpasses the Intel drive in this particular test by a small margin, although not by an amount that would show in real-world scenarios. In conclusion, the OCZ Vertex 2 is a formidable MLC-based SSD that does very well in comparison with some of the fastest consumer drives currently on the market. The only downside is that it’s still a little bit too expensive. 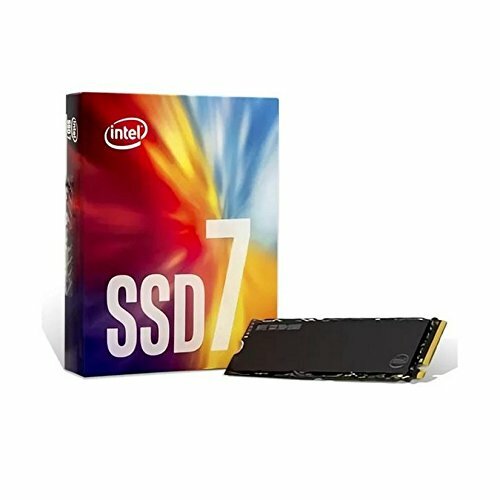 New Intel SSDs at the Upcoming IDF? It seems that that SSD is using Intel/Micron 34nm NAND chips “29f64G08camdb” of “mass storage” class (lowest lifetime and cheapest ones (“F” letter in the marking), replace 64 with the actual capacity chips used in the particular model) with erase cycles limited to 5000 cycles, with total of 8-16 chips per SSD (16 for 120 gb model). Total amount of data which can be written on this drive before its sure failure is (capacity)*5000. Divide that by 2 for more realistic value. 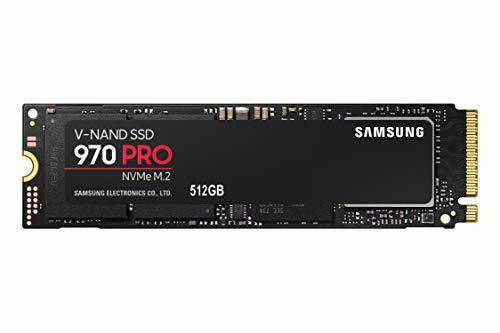 Its SandForce controller enables very decent performance within the (short under heavy load) lifetime of this SSD, which is expected to be shorter than the lifetime for those drives with DRAM buffer (due to higher amount of actual NAND read/write operations). Also, it lacks a decent on-board capacitor, which would prevent power-related failures. Hence the conclusion about their marketing strategy is that they intended to introduce a high-performance “mass model” SSD for usual consumers. Sounds like “performance over everything at minimum price”, though it can possibly be an excellent choice for notebook and netbook computers. The latest Sandforce drives are the best MLC consumer drives so far IMO. I didn’t hesitate going with one of these instead of the semi-reliable realSSD. There is also a way more reliable OCZ-manufactured SSD Vertex 2 EX, which is way more reliable version of Vertex 2 SSD build using SLC NAND parts. In terms of performance it is going to be most likely the same as the cheap and not so reliable MLC mainstream part, but in terms of reliability it is way more superior (and way more expensive). Even with its high price, its long-term maintenance expenses under heavy enterprise tasks load are actually lower than those of its “cheap” MLC-based counterparts. Lately OCZ started shipping OCZ Vertex 2 SSDs with “new generation” 25nm NAND memory. As expected and despite deceiving statements from OCZ, this “new generation” is actually WAY WORSE than the previous 34nm. It has only 3000 erase cycles compared with 5000 for the previous 34 nm parts ! It means that under constant load your SSD will last only 60% of time it would for the previous generation. If you know that it is using 25nm NAND and see that its price is higher than 60% of the previous generation (older prices before 2011), it is definitely NOT WORTH BUYING ! @vt: I totally agree. It’s ridiculous to tout them as a new generation when in fact they will perform worse (in the long run) than older devices! We have gotten used to that a smaller production process is always beneficial, but not so for SSDs, apparently. This whole marketing strategy is very misleading.